Nest Secure sure looks pretty when you set it up. The hockey puck hub, with its blue lighting effects and backlit keypad, the sleek combination door/window/motion sensors, those cute little Nest Tags… it’s all so dainty and sophisticated that it’s easy to forget you just shelled out nearly $500 for what amounts to two sensors and a siren. But before we bag on the price, let’s at least give Nest some credit: The company has produced one of the best-looking DIY security systems on the market. There’s also real innovation here, as the Nest Secure can pull off quite a few tricks that no one else in the industry has been able to muster. 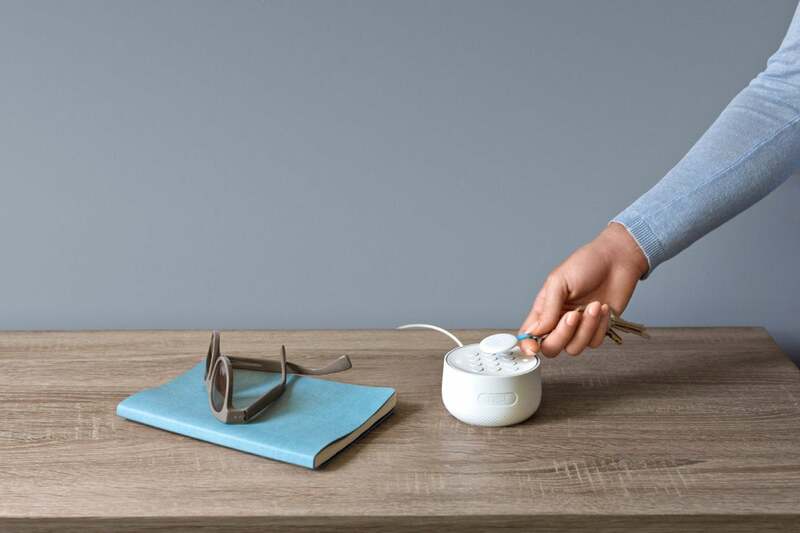 The Nest Secure starter kit includes just three primary pieces, but that’s a bit misleading. You’ll find a base unit called the Nest Guard and two sensors called Nest Detect units. You also get two Nest Tags, which I’ll get to in a bit. That isn’t much kit for the money, but the bundle should cover you reasonably well—if you have a very small house with just two entrances. Editors' note: This review, originally published on January 17, 2018, was updated on April 20, 2018 and again on April 23, 2018 to report that Nest pushed out a firmware update to add an Open Tone feature. Once enabled, the Nest Guard will sound a tone each time a door or window is opened while the system is disarmed. Nest has also introduced Google Assistant integration, and it has reduced the price of professional monitoring via its partnership with MONI. The current price is $29 per month on a month-to-month basis or $19 per month if you commit to a three-year contract. We added a video review element to the story on April 25, 2018. We criticized this product for not having these features at launch, so we removed the related con; however, our policy is to not change review verdicts after publication unless it's due to our error. 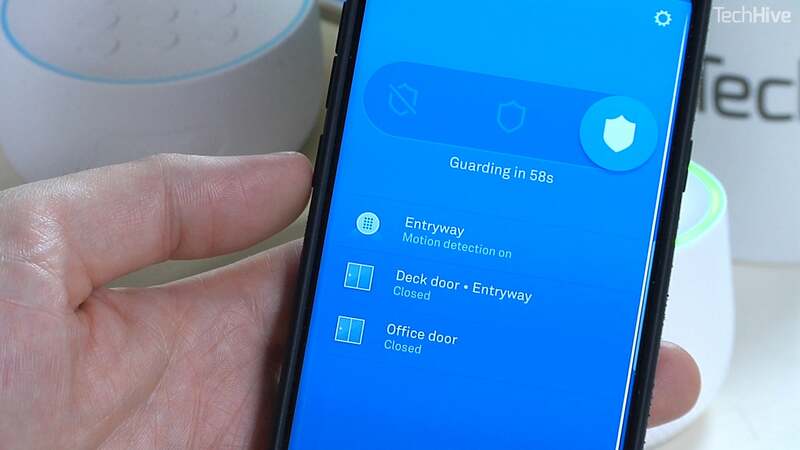 We've also published a brief story and video explaining how to control the Nest Secure system using voice commands via Google Assistant. The Nest Guard is the self-described brains of the system. It includes a numeric keypad, an ear-piercingly loud siren, and an integrated motion sensor. It’s specifically designed to be set on a table near your entrance, not mounted to the wall. It must be connected to an AC outlet (a special locking mechanism lets you screw the plug into the socket, making it difficult to quickly disable), but its actual connectivity is all wireless. 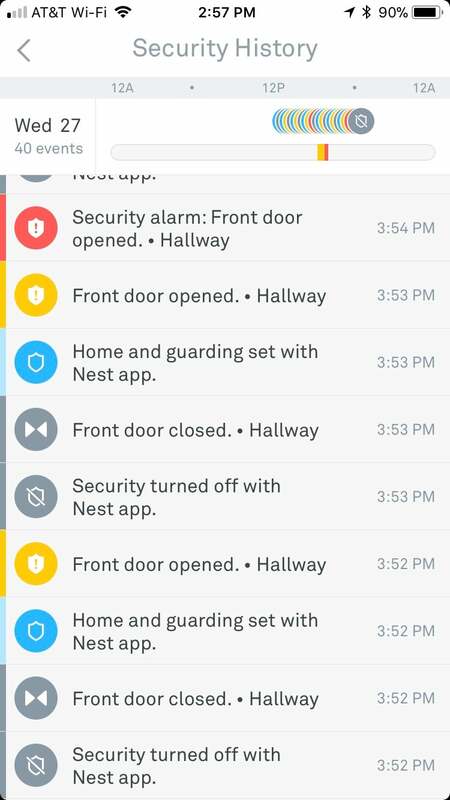 Nest’s reporting system is exhaustive and detailed, should you need the info. There’s a discreet panic button on the rear of the unit, in case of emergency, and, because the unit doubles as a motion sensor, it also includes the dim Pathlight system that illuminates the area when you pass by en route to a midnight bathroom run, much like the Nest Protect smoke alarm. When the alarm is activated or deactivated or when a sensor is tripped, helpful voice commands give you updates throughout the process. One of Nest Secure’s big selling points is that it offers multiple ways to arm and disarm the system. You can use the app, tap in a code on the keypad, or use one of the Nest Tags, which I mentioned earlier. These are little discs, fobs designed for your keychain, that use NFC technology to turn the alarm on or off with a tap. While these work as expected, I didn’t find them entirely useful—tapping in a code is easy enough—although they could be a boon for small children coming home after school who haven’t mastered their numbers. That said, if you can afford the Nest Secure, you can probably afford a babysitter to watch your kids. The Nest Detect sensors are easily the best part of the Nest Secure package. 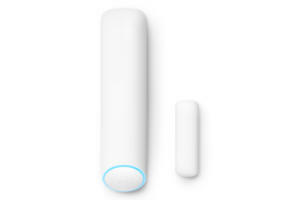 These are the size and shape of traditional, magnetic door/window sensors, but they also have a motion sensor built in, giving them double the capabilities. The design does have the unfortunate problem of making the devices look like dismembered fingers, complete with glowing fingernails (because these sensors also offer Pathlight). 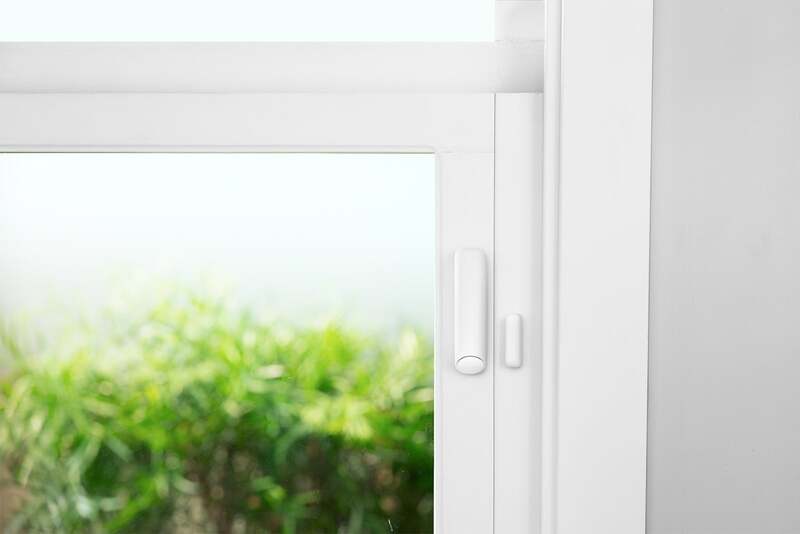 If you prefer door sensors that can be hidden inside the door and door frame, or sensors that can hang from your door's hinge, you’re out of luck. Nest’s sensors are otherwise solid, performing well with door and window opens and closes. I’ve encountered more sensitive motion sensors, but at close range (i.e. passing by the door), they’re good enough. The LEDs on the Nest Guard double as buttons, which can be used to activate the alarm. All of this is designed to integrate with Nest’s monolithic app, so if you have a Nest Thermostat or Protect already, getting things up and running is painlessly simple. Just scan a few QR codes and you’re ready to go. That said, it takes a little effort to get up to speed with the system in daily use. The Nest Secure revolves around three operational modes: Off, Guarding, and Home & Guarding. The main difference here is that Home & Guarding disables the motion sensors, but the alarm will go off if a door sensor is tripped. With full Guarding mode on, everything is active. It’s largely the same idea as the typical “Stay” and “Away” modes on more traditional alarm systems. And as with better security systems, Nest Secure has an option that lets you open a door and leave the house while the system is in Home & Guarding mode without needing to turn the alarm off and back on again. The Nest Detect sensors look like dismembered fingers. As with most Nest products, Nest Secure is designed to integrate tightly with the Nest ecosystem, but this device doesn’t really play well with others yet. There is no current support for IFTTT (unlike other Nest products), and it doesn’t support other smart home hubs or assistants like Alexa or Google Assistant. These will all likely change in time, but for now they’re absent. So for $499, what are you really getting? A sleek security system, albeit one with some surprisingly limited features. If your home is larger, you’ll need to add extra Nest Detect sensors ($59 each). Nest Tags run $25 a pop. If you’re a nut for Nest products, the ability to integrate a security system with the rest of your gear, and in a single app, might sound appealing. For the rest of you, more affordable—and more sophisticated—options are likely a better bet. Editor's note: This story was updated after publication to remove one Con. There's an undocumented feature that enables you to activate the alarm system by pressing any of the LEDs on the Nest Guard. Nest Secure looks good and offers some unique features, but it’s surprisingly limited considering its lofty price tag.